Here is my dear old friend Kesslie modeling the tee-shirt I painted for her. I purchased the plain white shirt from the Salvation Army somewhere near Kesslie’s home in up state New York. 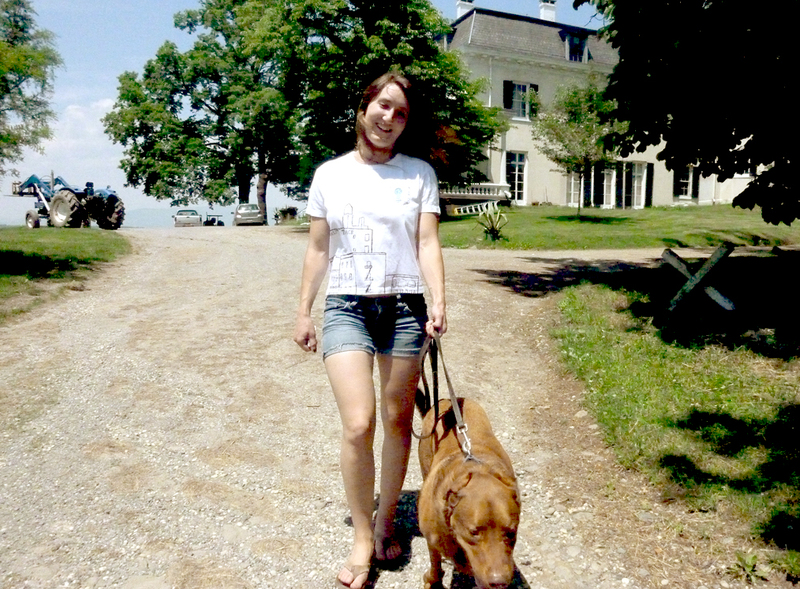 The photos above were taken on Rokeby Farm where Kesslie lives in a renovated barn with her big dog, Mud. Inspiration for the shirt came from my walk along the Hudson River Gateway in New York City and Kesslie’s love of Buffalo Trace Whiskey. 05 Jun	This entry was published on June 5, 2013 at 4:19 pm. It’s filed under crafts, photography, screen printing ink and tagged buffalo trace whiskey, photography, screen printing ink, up state. Bookmark the permalink. Follow any comments here with the RSS feed for this post.